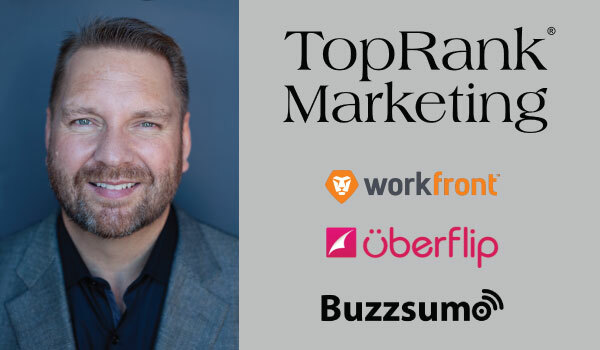 After a whirlwind—and worldwide—February of travel and in-person speaking engagements, TopRank Marketing CEO Lee Odden is staying grounded for a little while. However, he’ll still be making the rounds on the web by participating in three upcoming webinar sessions with Workfront, BuzzSumo and Uberflip. The best part? All the webinars are free to attend. And, of course, you’ll have the opportunity to learn content marketing best practices from Lee and other experienced, insightful industry experts. Details: A delicate balance exists between process and creativity when it comes to corporate creativity. Some fall into the trap of disregarding all process with the hopes of stimulating ingenuity, but they quickly meet debilitating chaos that actually stifles creativity. Others insist on so much structure in the creative workflow that the experience feels like working on an assembly line. Details: If you need an answer to a question where do you turn? Do you climb a mountain to find a sage old man or woman? Or, assuming there are not too many mountains nearby, do you turn to Google, your team or your social networks? And when you find the best answer to your question do you share it or even link to it as a valuable resource? The best performing content marketing is helpful content that answers customer questions. Join Lee Odden of TopRank Marketing and Steve Rayson of BuzzSumo to discuss what it takes to be the best answer. Details: According to CMI and MarketingProfs, over 90% of B2B marketers are investing in content marketing. Yet, in an age of information overload where 74GB of data are delivered per person, per day (USC), standing out to business buyers can require unreasonable budgets and resources. 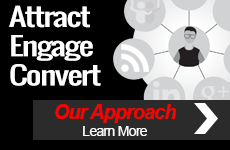 Join Lee Odden, CEO of TopRank Marketing, and Hana Abaza, VP of Marketing at Uberflip, for a webinar on how to leverage influencer content programs to attract and engage business buyers. 2016 is rich with digital marketing events that can help you make connections and grow as a marketer. Check out our roundup of the top marketing events happening through April of this year. 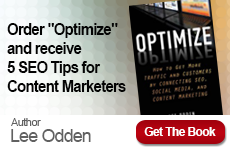 Want to learn more about Lee Odden and TopRank Marketing? Check out the Who We Are page.